If you’re interested in having a wood deck installed at your home in O’Fallon, Illinois, or a surrounding area, turn to the experts at Chesley Fence & Deck. 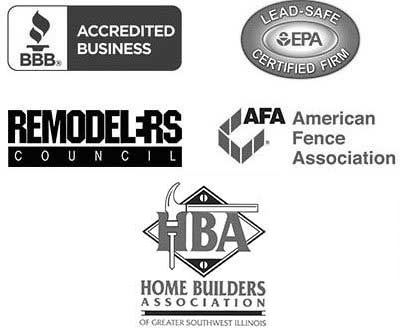 We have served as decking professionals since 1967 and have become one of the most trusted names in our community – a fact that is evidenced by our long-standing A+ rating with the Better Business Bureau. We offer homeowners the greatest value for their investment in a new deck by only offering premium products and installing them with the utmost attention to detail. Treated lumber decking – This is a highly economical yet durable option that can be painted and stained to the color of your choosing. Western Red Cedar decking – This is a premium wood that has a beautiful, natural appearance that can be stained to your liking. It is also lower maintenance than treated lumber. No matter what type of wood deck you choose to have installed at your home in O’Fallon, IL, you can trust the project will be handled by highly trained and experienced technicians. 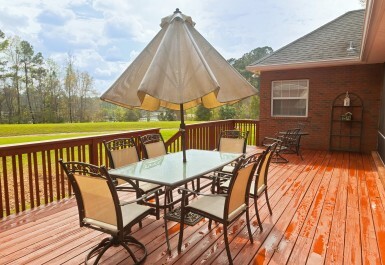 Plus, we only offer custom decking solutions, ensuring your new deck’s size and configuration perfectly suit your needs. To learn more about the benefits of having Chesley Fence & Deck install a wood deck at your home in O’Fallon, IL, contact us today.